Leica to collaborate with Sony and Ricoh? Three is the magic number for M10, apparently. Is the Leica M9 about to be replaced? Rumours about an impending Leica M10 are steadily gathering pace as the apparent May 10th announcement date creeps closer. One of the most intriguing rumours to surface is that it will house a black and white sensor in a throwback to Leica's heritage. Some have suggested that the black and white sensor will be a "special edition" of the camera, with the "main" version being announced at Photokina 2012. Either way, it's rumoured that Sony is coming on board to produce the sensor. Kodak used to produce Leica sensors, but since selling off its sensor division, it's likely Leica would turn elsewhere and Sony is known for producing sensors for other companies, most notably Nikon. 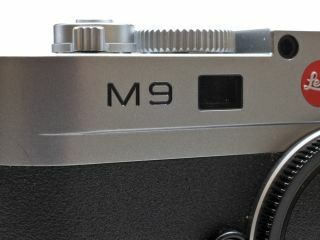 It's also almost guaranteed that the sensor will be full-frame, to match its predecessor in the Leica M9. Other rumoured features include the removal of the Anti Aliasing filter for super sharpness and resolution, and a greater dynamic range - which is arguably even more important for black and white photography. The next rumour that Ricoh is also getting involved is also incredibly interesting, considering Ricoh bought Pentax last year, which also produces compact system cameras. Suggestions are that Ricoh will help with the production of some of the parts of the new camera, since Leica's production capacity is limited. Of course, it's impossible to say with any certainty whether these rumours are true, but nonetheless, it's an exciting time for Leica, which recently announced plans to increase its market share.